There's an abundance of dumb henchman, all wearing the same get up but who are actually members of a secret cult, controlled by some scary businessman who worships... err, something or other and have the same salute as the Nazis. 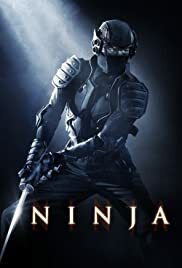 These guys are loosely involved with the main ninja bad guy who has a nasty scar, ooh nasty. 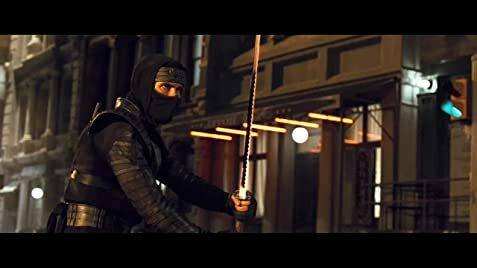 You've got your Sensai betrayal, high tech ninja sh*t, stupid copper, traditional weaponry, beautiful girl and even a cameo from Batman. Could this film be any better? Well, yeah it could... a lot actually but, who cares? It's so authentic in its simplicity, it achieves what 1000's of high budget films nowadays lack - watchabilty.